I know what you're thinking. Is this a post about the Arizona Jacuzzi dip from a few seasons back? The answer to that is no, it isn't. Although, it would have been hilarious if someone brought some bubbles, in a bottle like this, to add to Chase Field hot tub. 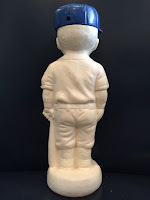 Featured above is a vintage, circa 1960's, plastic bubble bath bottle shaped like a young Dodger tyke in uniform (auction link here). It stands about nine inches tall and has a screw-cap at the top shaped like a LA Dodgers hat. Unfortunately, the original soapy concoction inside has long been used up. 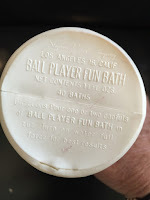 It was produced by an Los Angeles based company called Stephen Riley Company and they are notable for producing various bath related retail products for Disney in the 1950's. From what I understand, these "Ball Player Fun Bath" bottles were produced for other teams, but I can only confirm the existence of an Philadelphia Phillies bottle at this time. 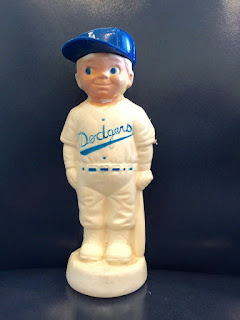 BTW, this is the first time I've seen this item in all my years of collecting oddball Dodger stuff, and I am unsure as to its value. 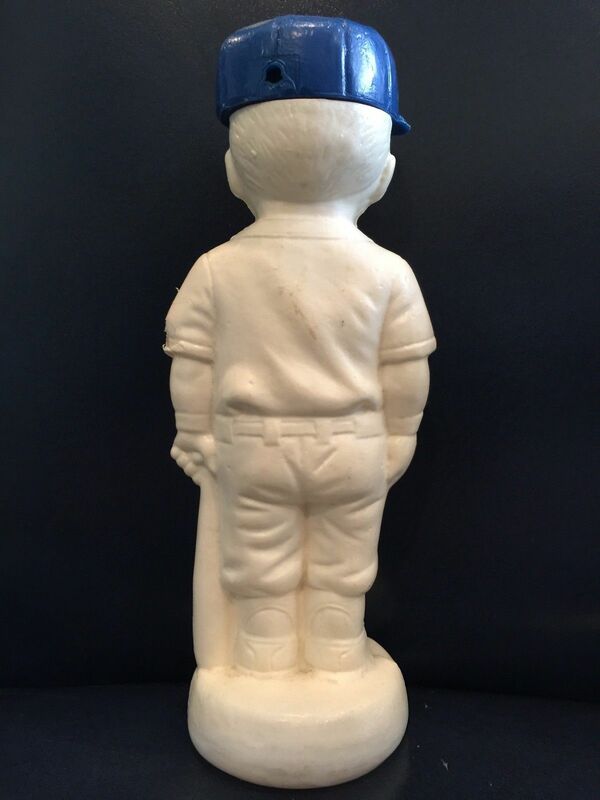 As will any weird collectible like this, it's worth whatever you're willing to pay to add it to your shelves.